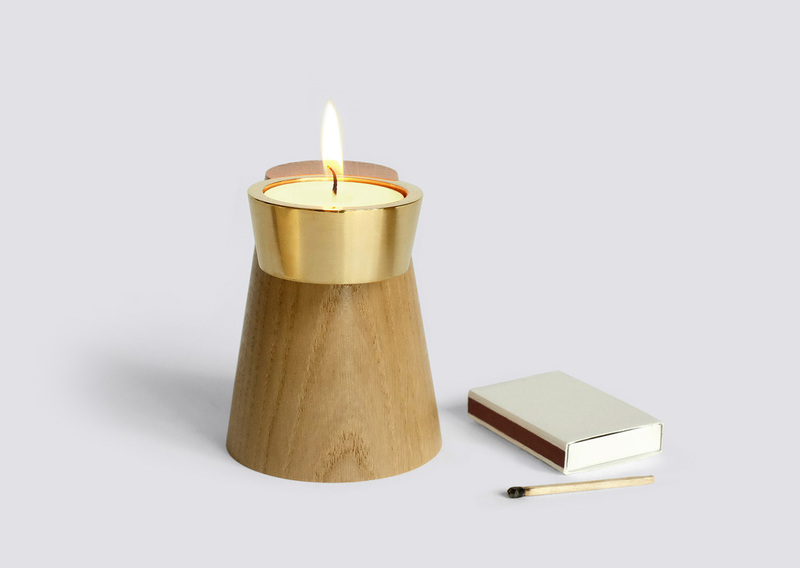 Faro comes from Italian and means lighthouse. 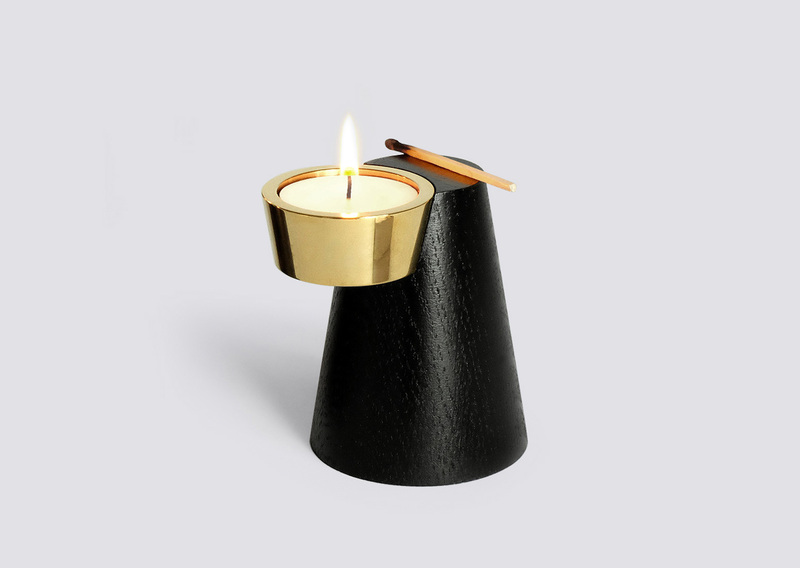 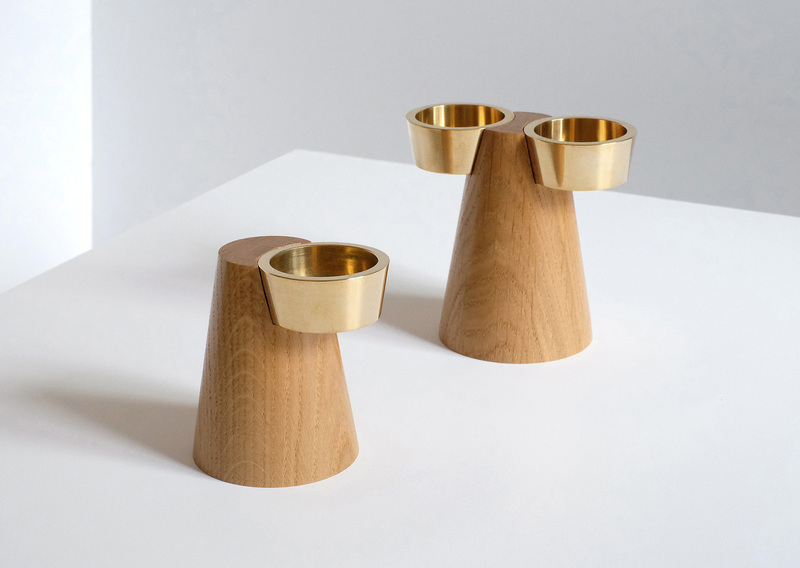 Kowalewski took inspiration from these iconic buildings and created a candleholder series for tea light candles. 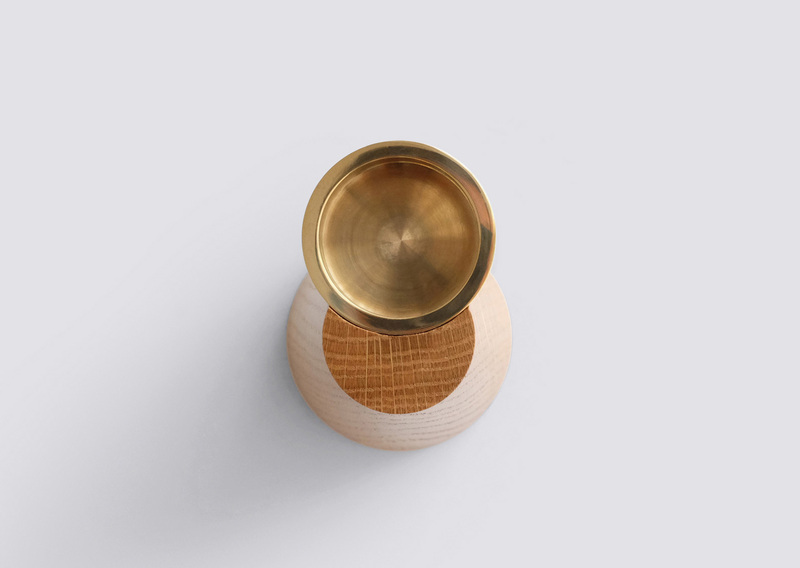 The design is mainly characterised through the opposing arrangement of the two conical and architectural shapes. 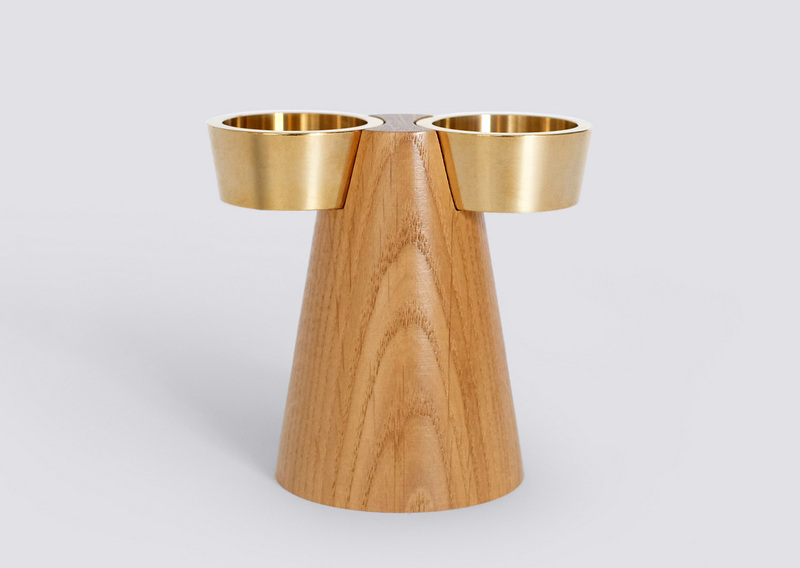 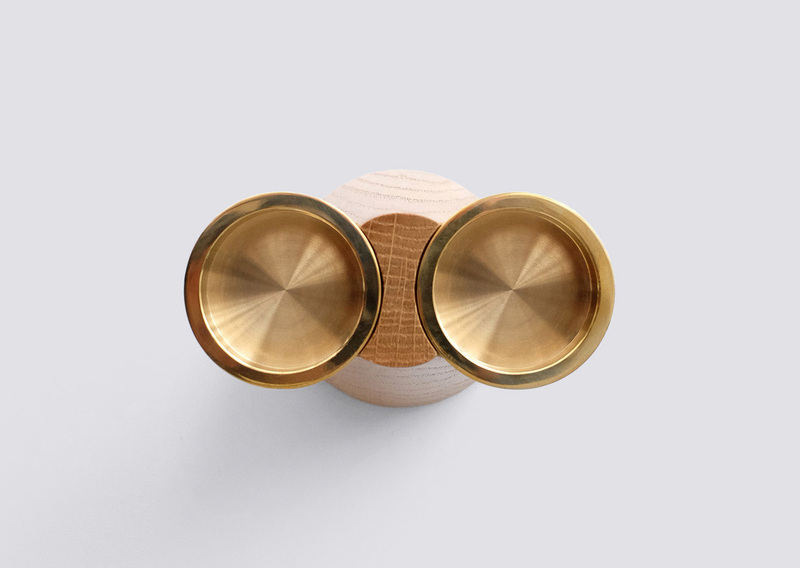 The carefully crafted solid oakwood base creates an interlocking and precise connection with the brass part. 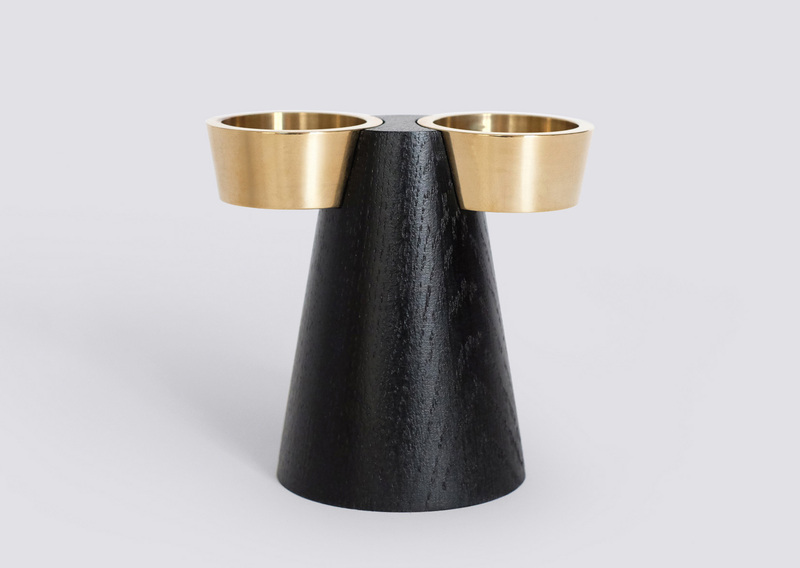 Its low height prevents interfering visually with conversations at the dining table. 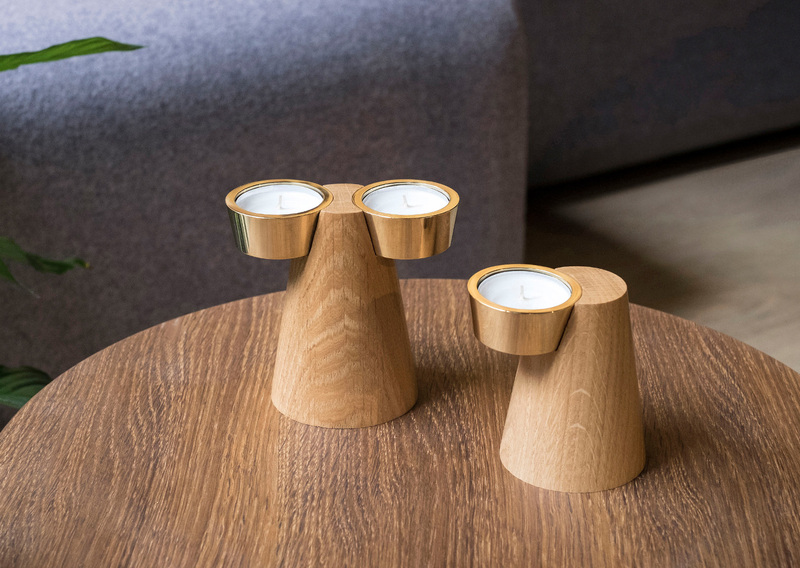 Faro is available in two different heights, for one or two candles and it comes either in natural or black stained oak wood. 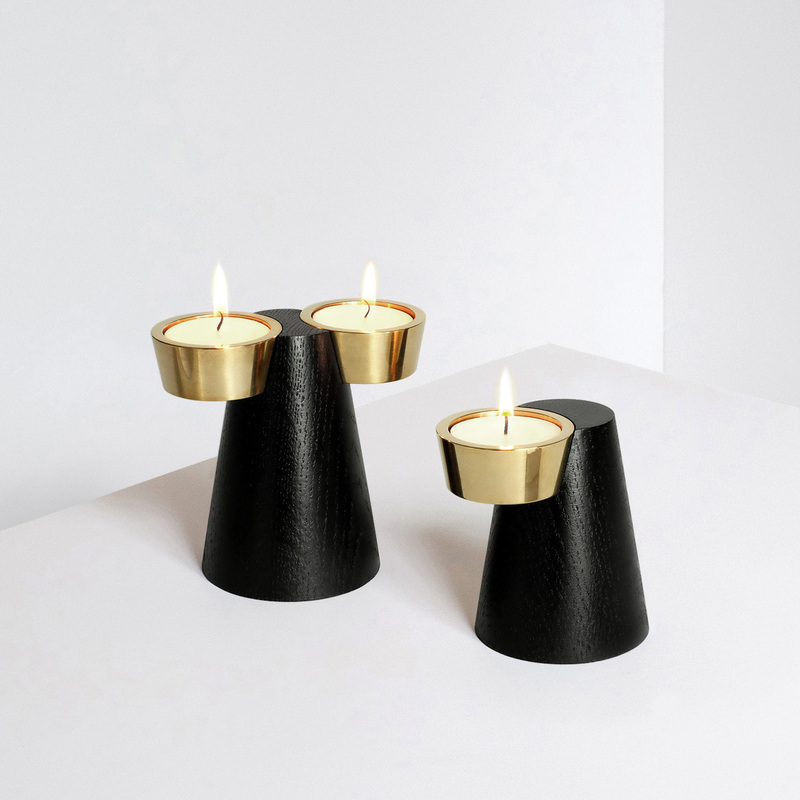 We recommend arranging them in a set. 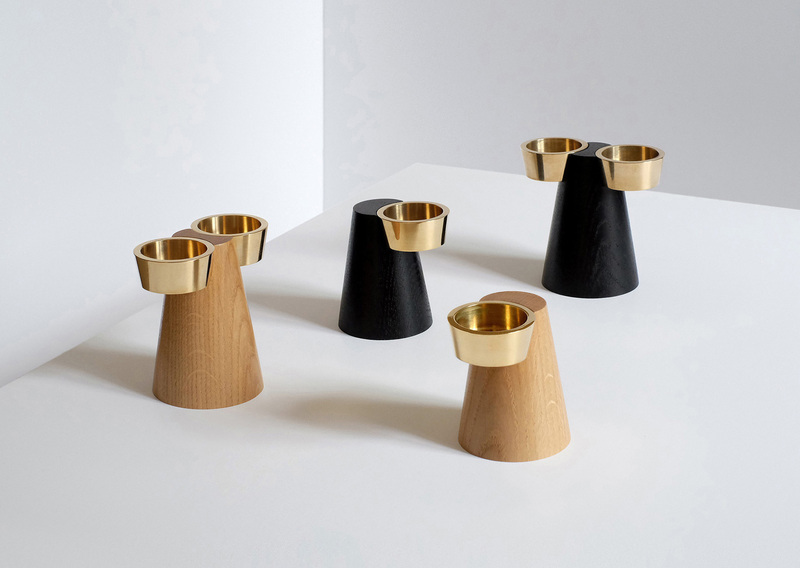 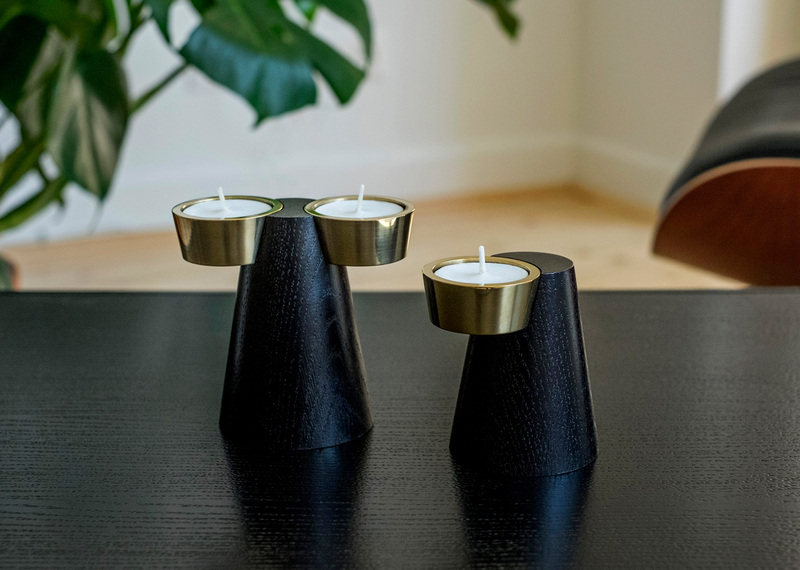 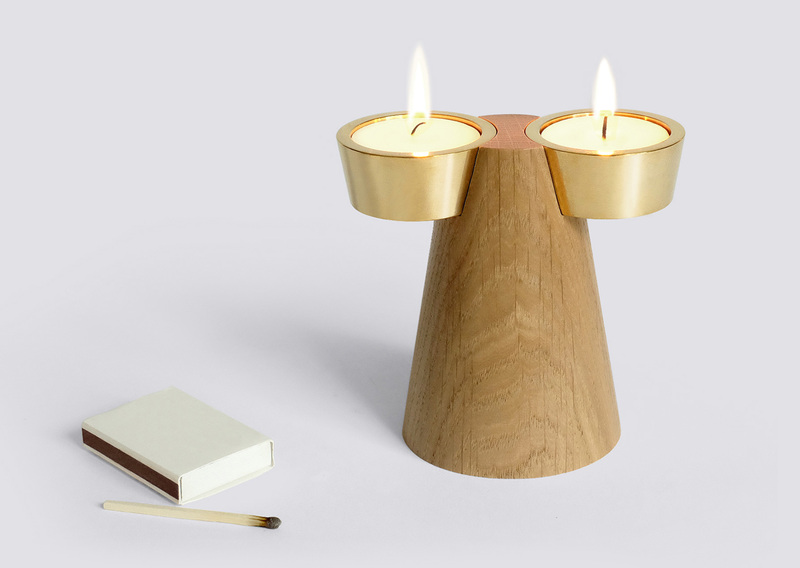 The candle holders come in either natural oak or stained black oak wood.